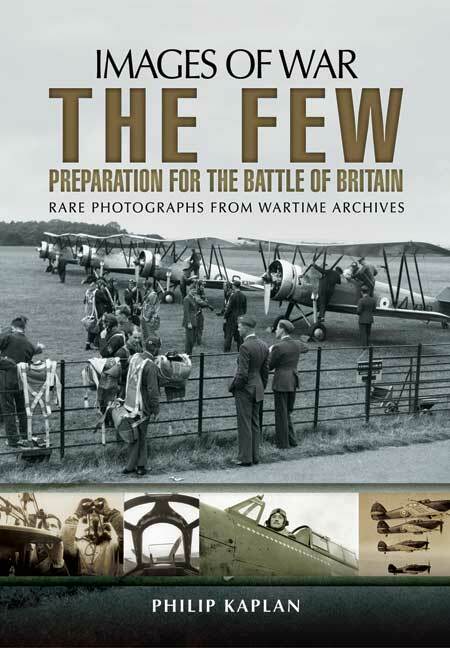 You'll be £4.99 closer to your next £10.00 credit when you purchase The Few: Preparation for the Battle of Britain. What's this? Images of some of pilots and various aircrews preparing for battle feature alongside shots of Spitfires in waiting, volunteer ambulance crews in readiness, civilians filling sandbags on the beaches of Britain to be used in an effort to protect its buildings. All these images serve to illustrate the times at hand, and the co-operative, resilient spirit of British pilots and civilians during this anticipatory period of uncertainty. Military enthusiasts and historians of the Second World War will be intrigued by the new insights opened up by these images. All are accompanied by Kaplan's illuminating prose, setting each image within context. A second volume will follow, focussing on the Battle itself, and The Few who achieved so much. This particular entry in the Images of War series has about a 50-50 balance between text and pictures. The text covers some unusual areas, with extracts of contemporary poetry to give a flavour of the period, and some very good material on the high level of stress suffered by the pilots and the ground staff at those RAF bases that came under the heaviest Luftwaffe attack. The pictures also include some less familiar selections, including two double page spreads of sketches of RAF pilots by the War Artist Cuthbert Orde, and similar pages of photographs of RAF and Luftwaffe pilots and senior officers. There are also all of the normal pictures of aircraft in flight, on the ground and in pieces, ground crews air fields, aircraft factories and so forth. I must admit I was pleasantly surprised with this book - the text is much more interesting than is often the case in photographic books, and is supported by a good selection of images.